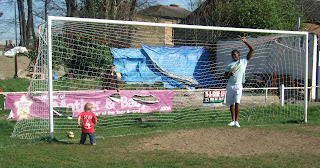 The Football Adventurer: If you know your history. 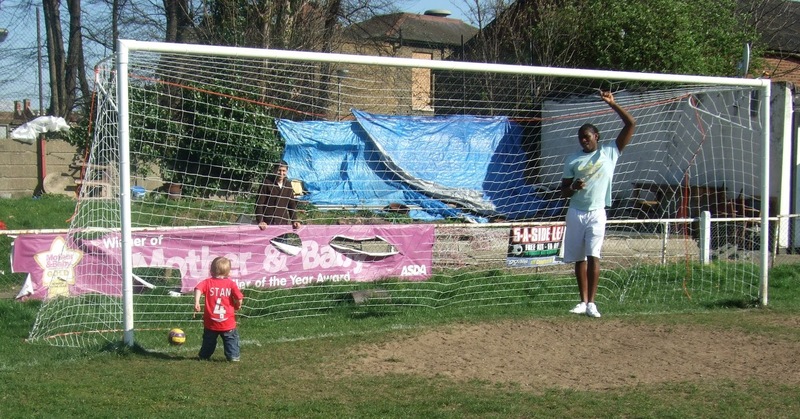 If it’s a historical football adventure you want in England’s capital city, then forget Upton Park, White Hart Lane and Stamford Bridge, take a trip to Forest Gate in the Heart of London’s east end. Less than a mile from West Ham United’s home, you will find the Old Spotted Dog, a pub that dates back to King Henry VIII times. The watering hole is currently closed, but protected as a listed building; some say it is the oldest non-religious building in London. 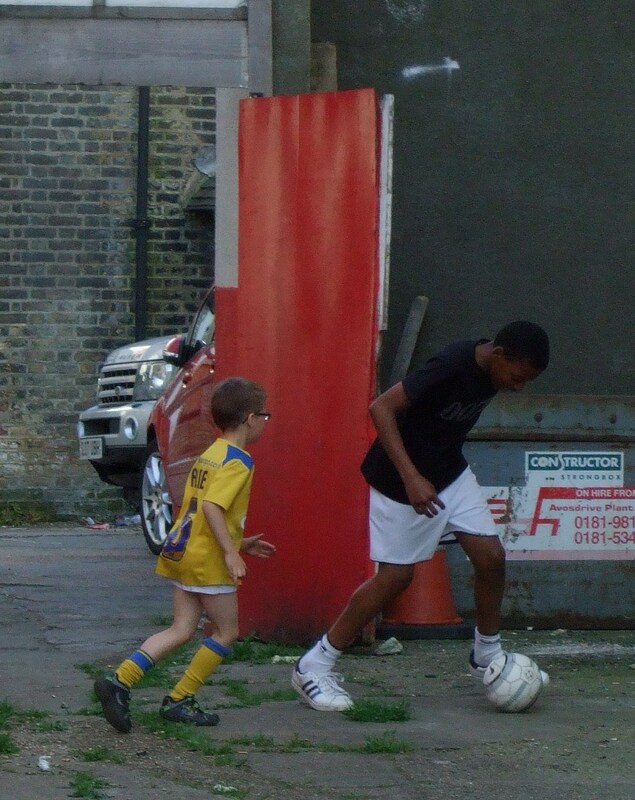 Behind the pub, you will find the entrance to the Old Spotted Dog football ground, home to Clapton Football Club. 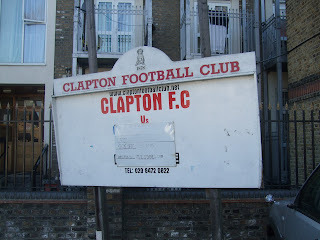 The ground has been Clapton’s home since 1888 and is the oldest senior football ground in London. The club played their first match at “The Dog” against the Old Carthusians, WM H Long, the author of Clapton’s Jubilee Celebration book of 1928 recalled the match in his scriptures of the time. 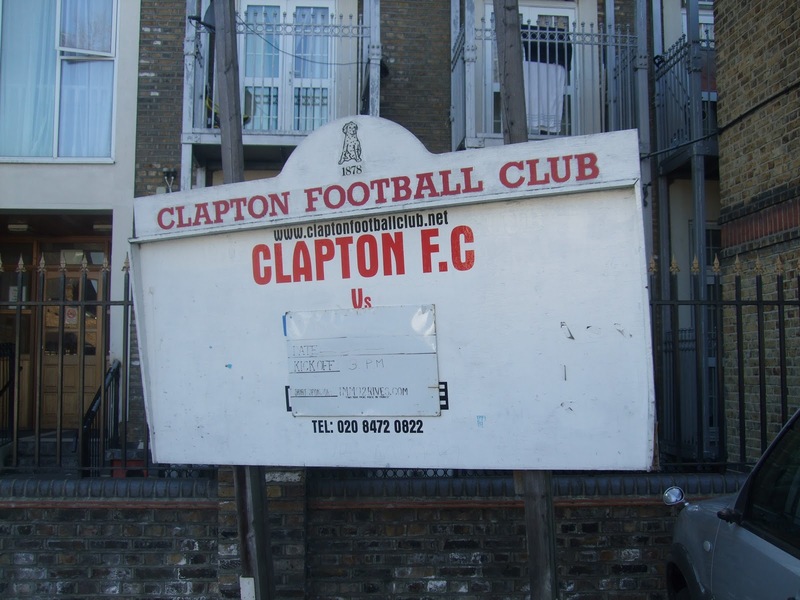 Presently Clapton are struggling towards the foot of the Essex Senior League playing in front of pitiful crowds. However, do not be fooled by league tables or appearances, this ground is steeped with history and you will always be warmly received. Take the time to visit one of football’s most historic venues, and a particular favourite of mine. 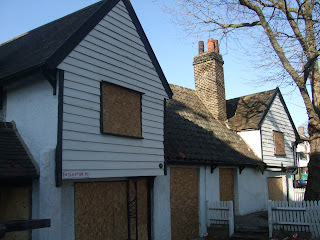 Here are a selection of pictures from my more recent visits to The Spotted Dog. 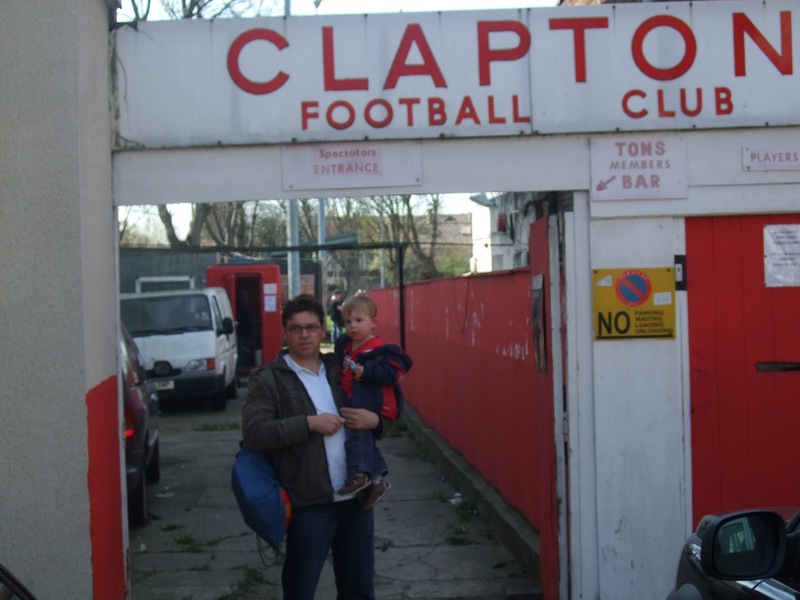 Ed and I with a piece of Clapton history. A great shot of the terraces behind the goal. My view from the terrace. Alfie finds a friend and enjoy's a kick-about by the ground entrance. 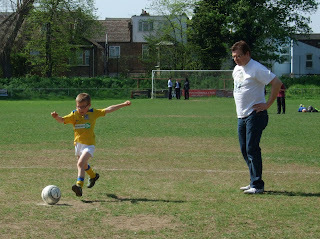 Match action at the Dog versus Bowers & Pitsea FC. The Old Spotted Dog Pub - Dating back to King Henry VIII times.